QCD forms the foundation of nuclear physics, and our group has had high visibility in the community that strives to find implications of quark-gluon dynamics in nuclei. 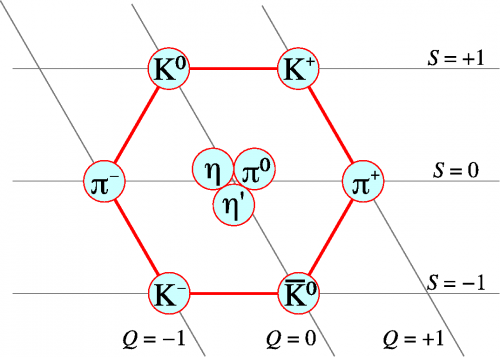 The starting point to tackle QCD at nuclear scales is quantum field theory in the non-perturbative regime. In asymptotic theory, it is known that non-perturbative phenomena can be linked to the behavior of the associated perturbative series, but it is much less understood how this link may be performed in quantum field theory. We have studied this link in simple models by using the recent mathematical techniques of hyperasymptotic theory. In the more realistic case of QCD, a difficult but essential constraint to implement is color gauge invariance. Some of our research has in fact focused on a gauge-invariant formulation of quark dynamics. Gauge-invariant quark Green’s functions are being studied in the limit of a large number of colors and might explain the non-observability of free quarks. Despite such progress, the most successful method to calculate properties of the QCD spectrum and interactions at large distances continues to be simulations on a Euclidean space-time lattice. In nuclear physics it is the light quarks that play a dominant role, and another approximate symmetry of QCD, chiral symmetry, becomes important. It manifests itself through the interactions of the pseudo-Goldstone bosons of its spontaneous breaking (pions, kaons and eta). Much of the effort of the group has been dedicated to the dynamics of pions at both quark and hadronic levels. At the quark level, we have proposed a general framework for modeling nucleon-to-pion transition distribution amplitudes, an extension of the concept of generalized parton distributions, and extracting them from data. At much lower energies, that is, momenta comparable to the pion mass, an effective field theory (EFT) — Chiral Perturbation Theory (ChPT) — exists that systematically describes hadronic reactions in a controlled expansion in momenta. The available data on the strong and electromagnetic width of the Delta resonance was used at third order in the expansion to provide parameter-free predictions for various aspects of the spin structure of the nucleon, such as polarizabilities and moments of structure functions. The extension of ChPT to higher energies can be accomplished with the use of dispersion relations. We have carried out a dispersive analysis of the scalar and vector form factors of the long-lived kaon state using the KTeV data on its decays into pions and leptons, testing predictions of the Standard Model. Particularly important is the s-wave pion-pion interaction, where structure associated with a light scalar meson appears at relatively low energies. We have used chiral constraints in the Omnes method to extract information about light scalars, work that has shown how a systematic application of analyticity allows the extraction of the couplings of scalar mesons to quark-gluon operators from experimental data on the scattering on pseudo-Goldstone mesons. In addition, we have developed the tools to disentangle the final-state interaction from the Belle data on two-photon fusion into two pions. Hadron dynamics can in principle be extracted from lattice QCD calculations as well as experimental data. EFT can be used as a tool to extrapolate lattice results to quark masses too low to be handled in such simulations, and as a result EFT low-energy constants can be determined. In the last few years we have looked at a number of processes where EFT can be matched to lattice data, with an emphasis on the properties of resonances and on the convergence of the theory in the strangeness sector.